Latest Jobs At Adidas Group. Adidas Group is a large company which comprises several well known sporting brands. Made up of big names like Reebok, Adidas, CCM Hockey and TaylorMade Golf, this group promotes sport for good health and is always on the lookout for innovative and enthusiastic staff across a number of disciplines. With over 50,000 employees around the world, the Adidas Group is a major employer and is a prestigious company to work for.you are interested in finding out more about the latest jobs at Adidas Group, then you will be pleased to learn that there are opportunities in several different teams with this company. What Types Of Jobs Are There At Adidas Group? Product Design - including eCommerce, engineering, production, research, development, marketing and communications. Business - including administration, accounting, auditing, customer service, facilities, human resources, information technology, legal, sales, strategy, sourcing, supply chain. Retail - including shop staff, back office, training. Student opportunities - including apprenticeships, internships, dual study programs, functional trainee program. If you are interested in finding out more about the latest jobs at Adidas Group you will probably want to know why it is a good company to work for. Adidas is a forward thinking company which helps to launch international careers. With futuristic work spaces and a diverse workforce, this is an exciting company to work for. At any one time, the Adidas Group has around 2000 jobs to choose from, spread over 300 or more locations in more than 40 countries around the world so there is sure to be a position to suit you. If you are looking for the latest jobs at Adidas Group, the best place to begin your hunt is on Adidas' own home page. This is where you will see a dedicated careers section where you can discover all the information that you need to know about the company as well as full outlines of all currently vacant posts. This facility also allows you to look for a post that best fits with your requirements when you search using either a keyword, location, team, job type or brand. What Skills Are Needed To work For The Adidas Group? 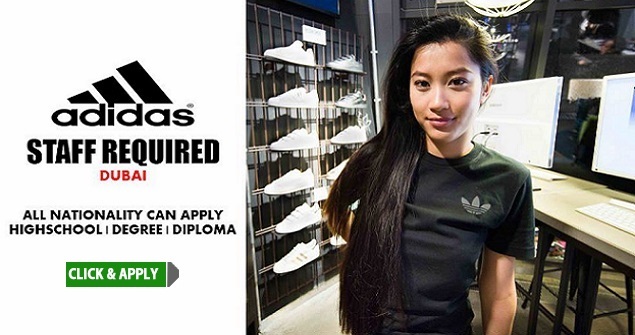 The skills required to work for the Adidas Group depend on what kind of post you are applying for. Should you be interested in an entry level position, a good level of high school education, good communication skills and an interest in sport is often all that is necessary to be successful in your application. However, should you be applying for a more skilled or senior position, you will probably have to have more advanced qualifications and experience in the industry. Knowledge of the English language is often a requirement, no matter where in the world the role is based and good interpersonal skills are also very important. If you are interested in applying for the latest jobs at Adidas Group you can do it quickly and easily through the Adidas' own careers portal. When you select the "click here" link after each description you can create your own application account where you can upload your CV and your personal details so that your application can be passed to the Adidas recruitment team for consideration.